Harrier Search aims to serve the growing LegalTech community by locating and placing candidates who can bridge the worlds of law and technology. In 2017, over 50 LegalTech startups are plying their trade in the UK and that number is only going to grow. Anyone with a legal background who has been smart enough to educate themselves about the latest developments in AI, Machine Learning and other technological advancements is going to find themselves in great demand. It is only a matter of time before one of today’s LegalTech companies reaches the coveted ‘unicorn’ status, and these companies are in a war for the best talent. Law firms are also building their own solutions in-house, utilising their phenomenal expertise and access to swathes of data. A change is happening client-side too: corporations are beginning to create ‘Legal Ops’ teams who can transform a burdensome pile of documents into a valuable strategic asset. 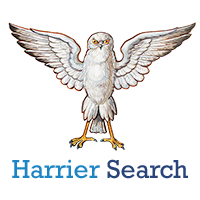 Harrier Search is ideally placed to help its clients navigate these new waters. We have experience of working with LegalTech vendors, law firms and in-house legal teams. We know that you can’t just buy innovation with a cheque book, you have to have the people in place to drive your business to excel. We offer a bespoke, personal service and have relationships with candidates not just in the UK, but across the world.